First edition owner interview | SCRIBBULUS : HP gossip, dirt and news. 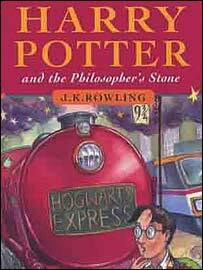 Thought this might be of interest to you news-hungry little scribbuli – an interview with the man who paid $37,000 for a first edition Harry Potter and the Philosopher’s Stone. $37k. For a book. He apparently thinks its a sound investment. We just hope he got paid well for the interview, poor guy. Read here and understand why he’d rather not be named. ~ by scribbulus on March 18, 2007.